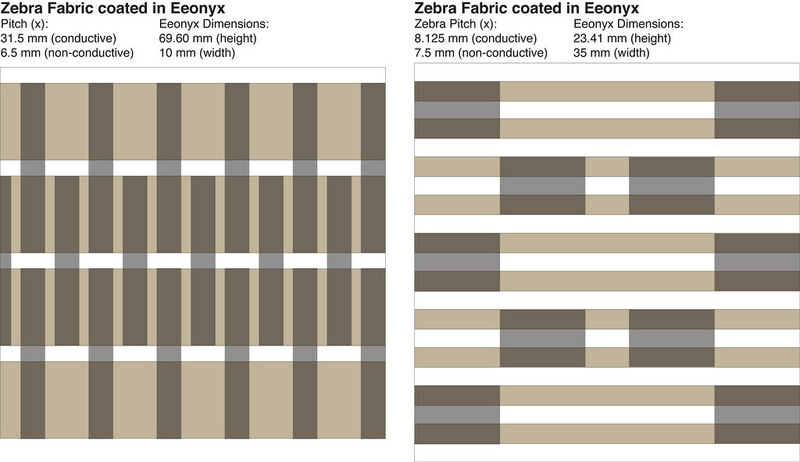 Inspired by the availability of Zebra fabric and the fact that Eeonyx can coat a variety of materials in their secret resistive/piezoresistive formula, this post is about an idea for a fabric, that will hopefully “come true”. 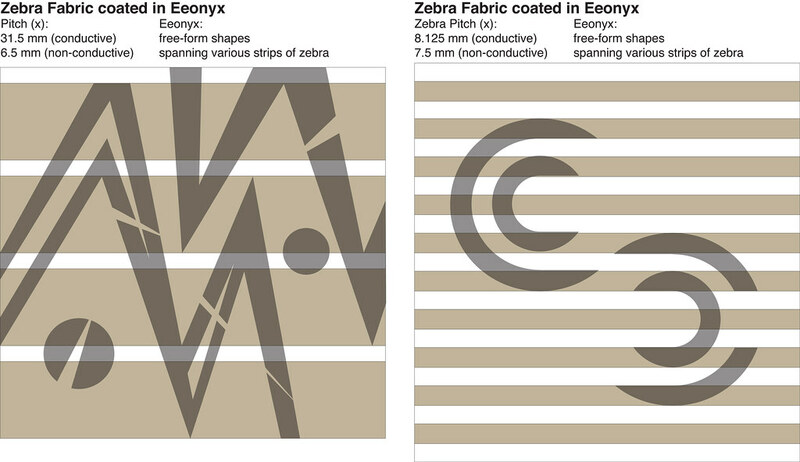 The idea is that, by coating the Zebra stripes in Eeonyx’s carbon polymer, the contact between the highly conductive material (silver plated nylon thread) and the resistive/piezoresistive material (Eeonyx) is made. 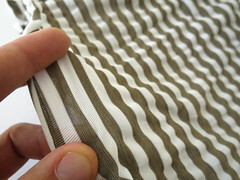 The conductive zebra strips become the sensor leads, bringing the sensor data to the edge of the material – or can be picked up anywhere along the way. 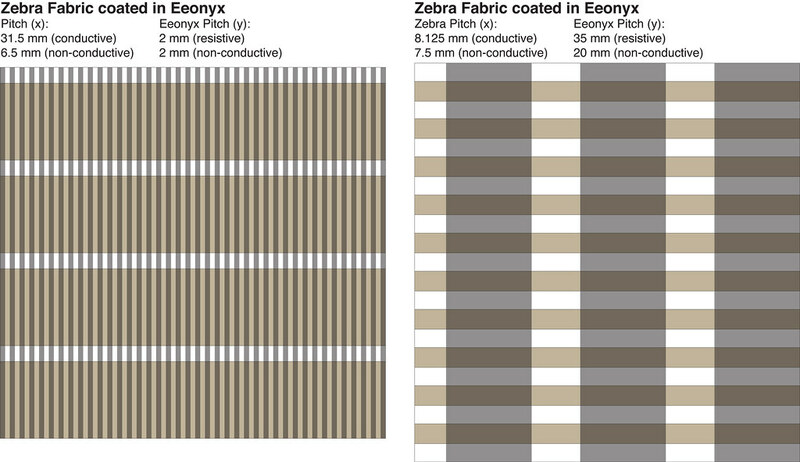 A Zebra fabric coated fully in Eeonyx would allow one to measure the resistance of the Eeonyx coated fabric between the conductive zebra strips, and how this resistance changes when stretched/pressured. 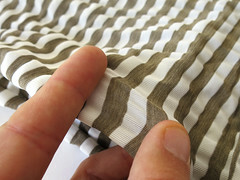 A Zebra fabric coated partially (in strips or fields) of Eeonyx, would allow one to isolate the areas of sensing. I work as the Dep Gen Mgr leading Technology Comercialisation for Innovation Projects for a Multi national company. WE are a manufacturer of apparal for the worlds leading brands of sports (including 2008 & 2012 olympics), intimates and swimwear, now getting into the sphere of wearable technology. Very interested in solutions for soft non chafing textile base sensor electrodes (currently for ECG and Bio Impedance), soft pliable low profile conductive pathways and novel & innovative connector possibilities. I work for a new company in wearables, Infi-Tex, which has acquired the assets and IPR of Softswitch. 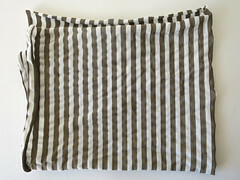 We are interested in obtaing samples of Zebra Fabric that has conductive stripes spaced to match commercially available connectors, that is width and spacing 1.27mm (0.05″). Later we may need even more closely spaced connectors, 0.64mm, 0.64 mm apart. 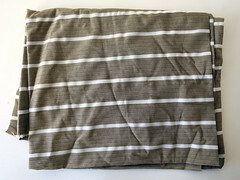 The fabric can be similar to the one shown on your site. Is this something you can make or obtain for us? I’ll happily answer questions.